In the 1970s Cairo started expanding into the open desert. Most of these new towns, built to cope with the city's fast growing population, fell considerably short of expectations. 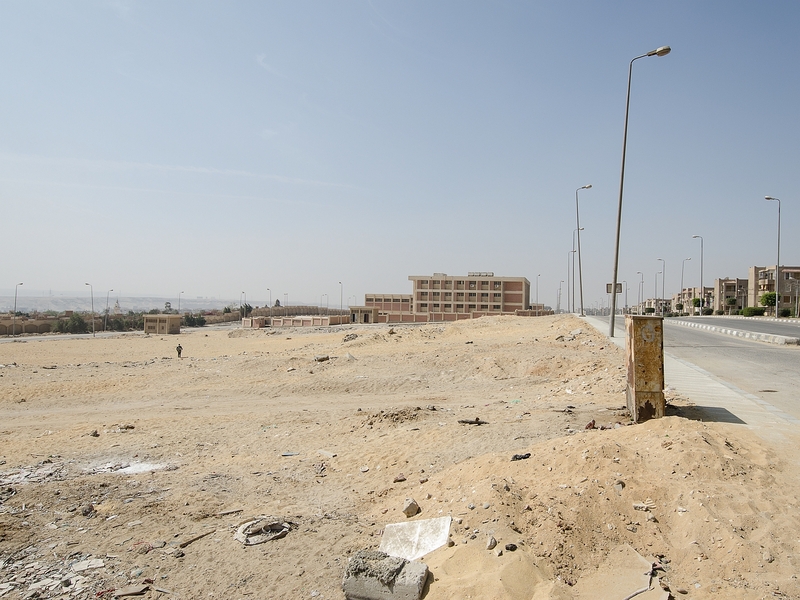 A photo essay explores the desert cities Al-Shuruq and New Cairo. Cairo, since its foundation more than 1000 years ago, continues to be the political, economic and urban centre of Egypt. Like many other cities, the population of Cairo multiplied in the last few decades. From an estimated 3.3 million in 1960, the Metropolitan Area of the Greater Cairo Region has risen to consist of some 17 million inhabitants (estimates vary between 14 and 20 millions) which represent more than one-fifth of Egypt’s population. All photos are courtesy of Daniel Zwangsleitner. Traditionally situated in the Nile-Valley, Cairo is surrounded by desert plains to the east and to the west. It was not until the 1956 Cairo Master Plan that these desert badlands, often owned and utilised for training by the Egyptian military, were thought to be a place of settlement. It took another two decades, when in 1976 the first desert-city, 10th of Ramadan, was officially launched. 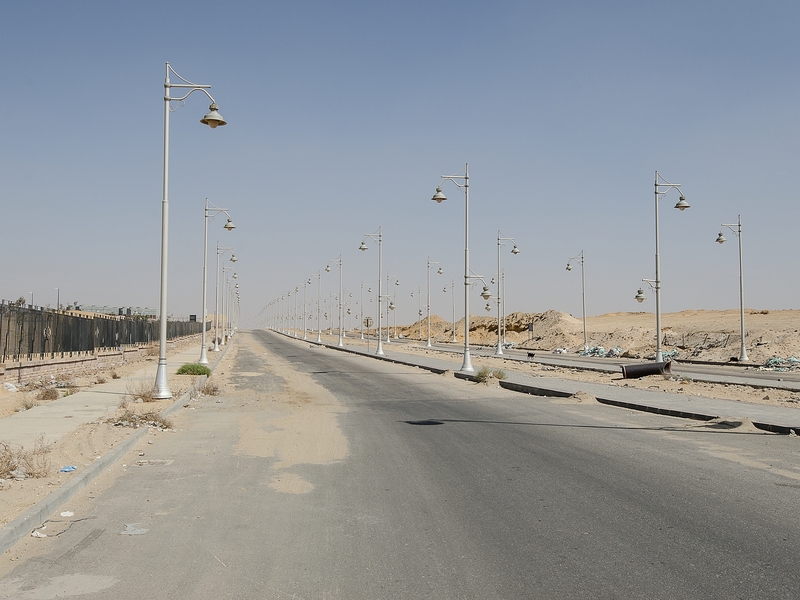 Other desert cities were soon to follow, amongst which 6th of October, 15th of May and Al Obour. 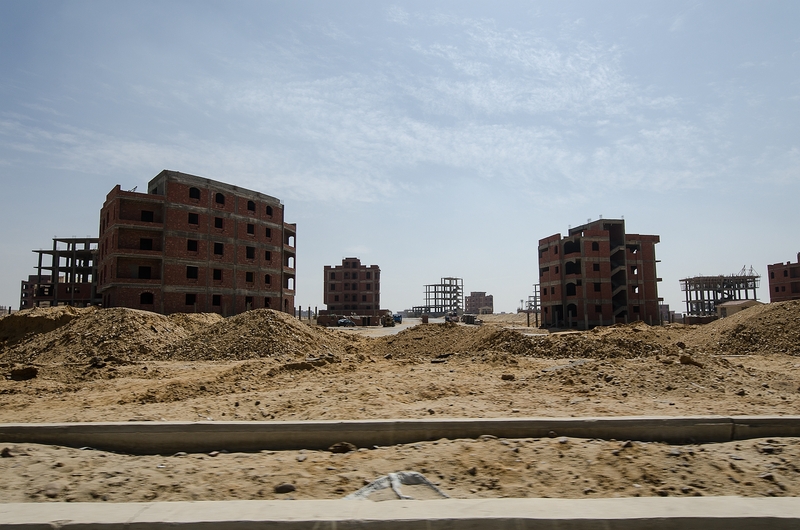 As in many other fields of Mubarak’s Regime, the housing and construction sector was formed by an unholy connection between politics and economy, nepotism and corruption. 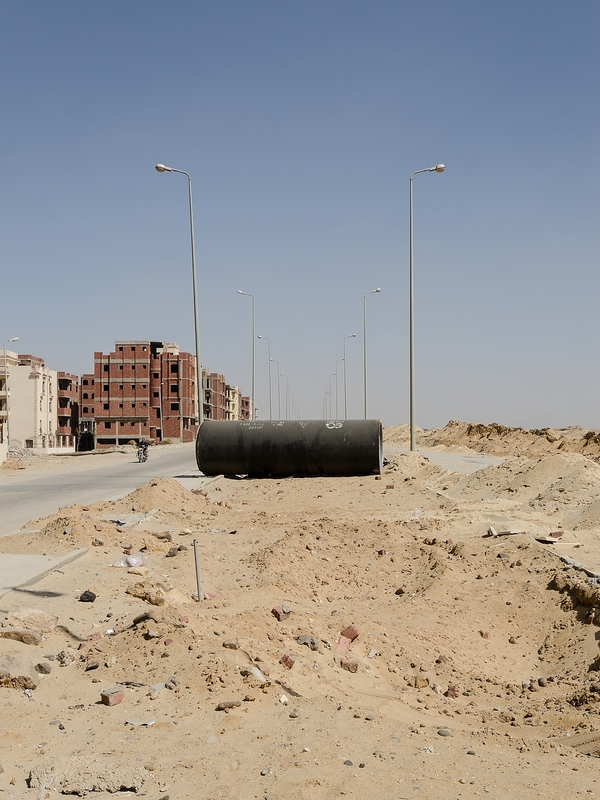 The land where these new desert cities have been planned (formerly owned by the state or the military) was sold at knock-down prices to real estate developers, while the access roads to these remote areas (up to 70 kilometres from Downtown Cairo) were constructed and paid for by the state. 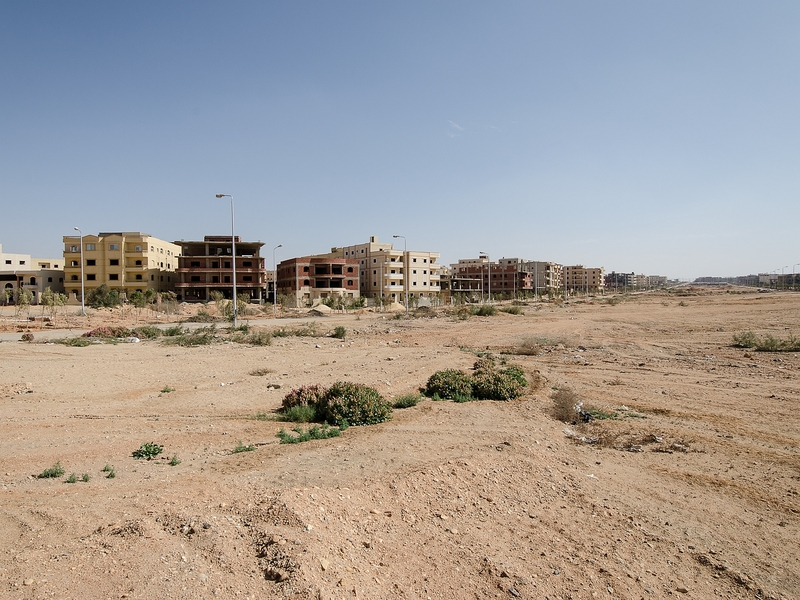 Most of the developments consisted of upper-class residencies and were therefore somewhat inappropriate to cope with the ever-growing demand for affordable living-space, the former main-object of the ‘desert cities program’. This led to the absurd situation of simultaneously enormous vacancy-rates and high homelessness. Nowadays the situation in the first phase new towns (e.g 6th of October) dating back to the 1970s and early 1980s is clearly better and more consolidated than newer developments. New Cairo was announced as a new town in 1989, and the foundation of Al-Shuruq dates back to 1993. Already stressed with patchy development the situation got even worse after the revolution in 2011. 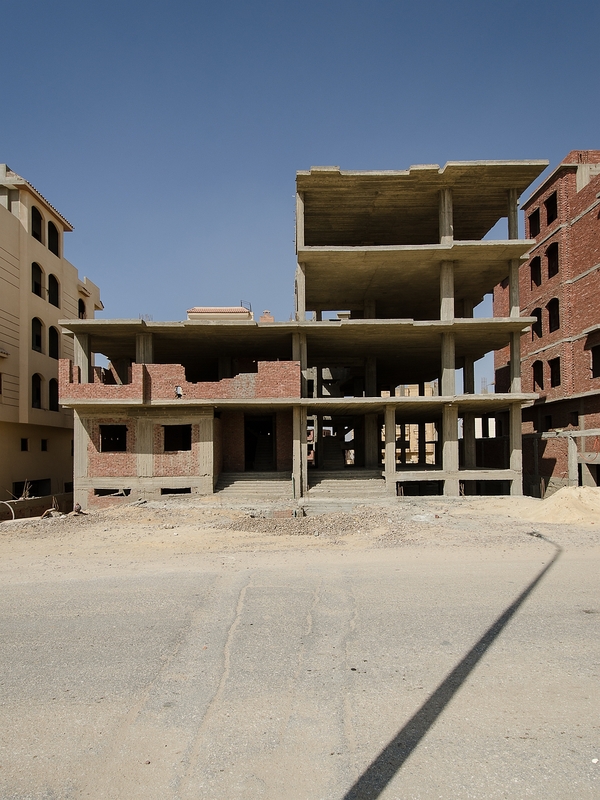 Even though the American University recently relocated to New Cairo and the construction of some gated communities still continues, the considerable reduction in building activity due to uncertain conditions for private investments and the end of Mubarak’s system of clientelism is evident. 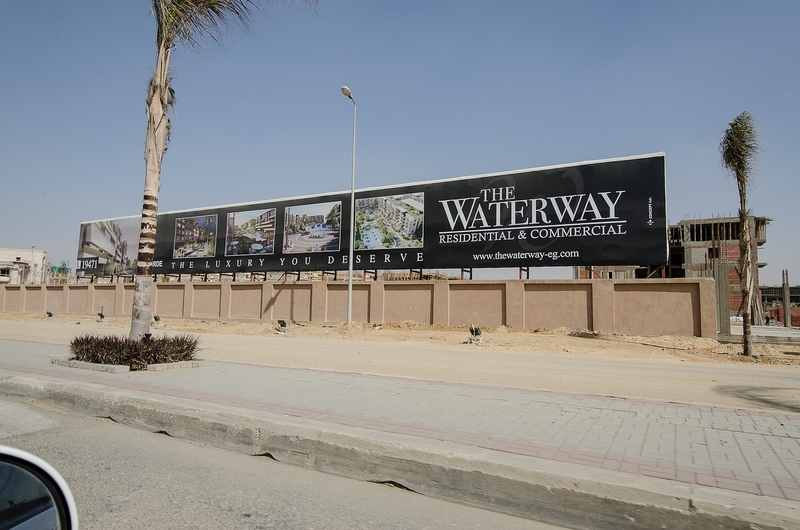 Nowadays only three to five percent of Cairo’s population (depending on the estimate, as exact figures do not exist) live in these new towns. 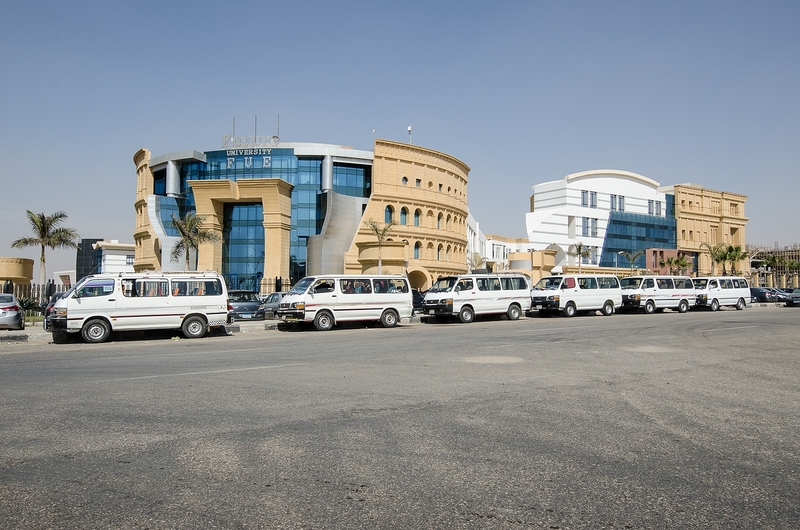 Together, with extremely high vacancy rates of between 64 and 79 percent and a geographical disconnection resulting from the lack of high-level public transport services, it seems like desert cities are doomed to remain a dream of a better life yet to come. Daniel Zwangsleitner, researcher and lecturer at Regensburg University of Technology, is currently based in Munich where he is engaged in photography and writing about the built environment. He studied architecture, urban planning and photography in Innsbruck, Vienna and Turin. Text New Cairo is not the failure it appears to be from these selective photos. True, much of the housing is still unfinished or unoccupied, but since I started commuting there six years ago there has been a sure and steady increase in population density and amenities. Egypt, thanks to its conservative bank lending policies, missed the worst of the financial crash that affected the Gulf so badly. 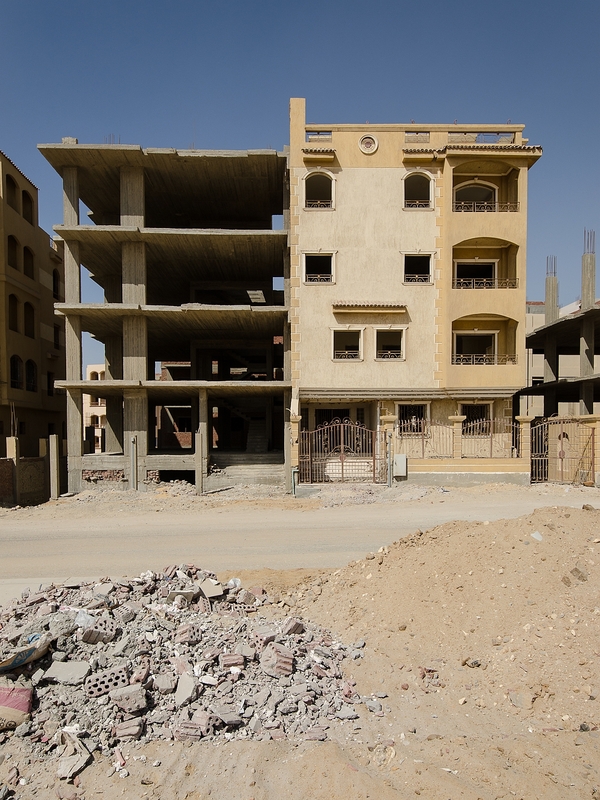 Its economic situation is still precarious after the revolution, but it is likely that New Cairo will continue to develop at a steady rate.